AEDCPR has been providing online CPR, AED, First Aid and Bloodborne Pathogens training since 1999. Today, online education has become the preferred method among both students and educators. Online learning is fast, convenient and cost effective. Our Healthcare Provider BLS CPR Renewal class is the most popular and most accepted Online CPR Class by far. 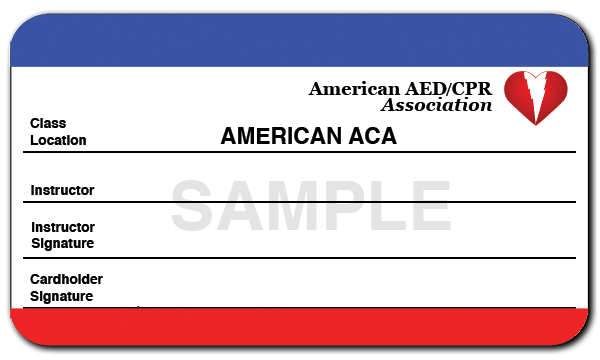 The American AED CPR Association is #1 in online safety training and continuing education. Our proprietary training software helps make us the leader in online medical certifications. Try our Class Selection Tool to see which class satisfies your certification requirement. 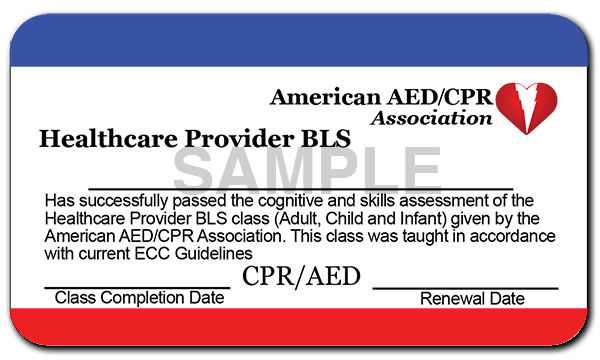 Designed for anyone in need of CPR certification. 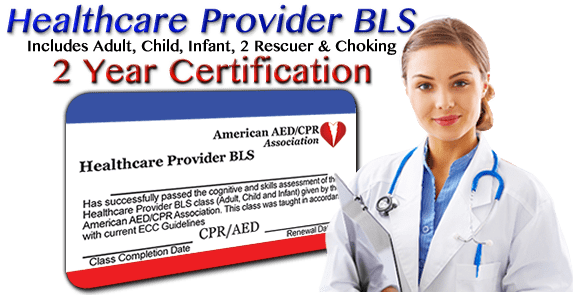 Our courses will satisfy the requirements for Basic CPR, BLS, Healthcare Provider BLS, CPR-C Course, Professional Rescuer CPR and all AED certifications. This class covers the basics of Cardio Pulmonary Resuscitation, foreign body airway obstruction (Heimlich Maneuver) and use of an Automated External Defibrillator. Designed for anyone in need of First Aid Certification. 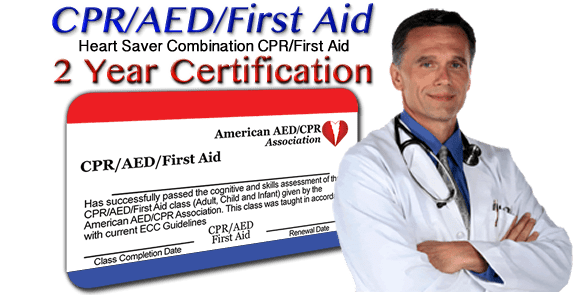 Our First Aid courses will satisfy the requirements for Basic First Aid, Adult First Aid, Pediatric First Aid and Professional Rescuer First Aid certifications. This class covers the basics of medical emergencies, traumatic injuries, severe bleeding, minor bleeding, spinal injuries, broken bones, sprains, heat related injuries, cold related injuries, poisoning and more. Designed for anyone in need of CPR, AED and First Aid Certification. 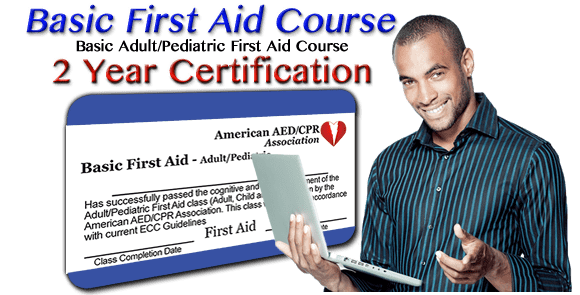 These courses will satisfy the requirements for CPR, Professional Rescuer CPR, AED, Basic First Aid, Adult First Aid, Pediatric First Aid and Professional Rescuer First Aid certifications. This class covers the basics of Cardio Pulmonary Resuscitation, foreign body airway obstruction (Heimlich Maneuver) and use of an Automated External Defibrillator medical emergencies, traumatic injuries, severe bleeding, minor bleeding, spinal injuries, broken bones, sprains, heat related injuries, cold related injuries, poisoning and more. Designed for anyone in need of Bloodborne Pathogens Certification. This class covers universal precautions, PACT, ecposure control plans, sharps, bio-hazards, reporting and OSHA standards.